Bluetooth 4x4 Pad Controller, where are you? Unless I’m missing it, why is there no company making a 4x4 Bluetooth pad controller?!? It would be my dream controller for the iPad and BM3. So far I think this is the only option? I'm so tempted. Been waiting for one myself. Real pads. Not the sensel ones. This looks like a possible solution with the right hardware? I would already own the sensel if it wasnt horrific cost to get sent to the UK. I'm using an Akai MPD218 with a Zivix puc+ Bluetooth midi interface. But yes I agree that a 4x4 pad controller with integrated Bluetooth would be fantastic. @gosnote where is the MPD getting power from, does it have a battery? Yeah that has always been interesting but just too expensive. If I already had a 4x4 pad midi controller, it seems like the $80 puc+ would be the way to go. @gosnote can you elaborate on the battery life? After watching more videos of the sensel, I think that’s what ima save up for. @5pinlink would the cost be more reasonable if someone in the US picked it up and shipped it to you? I’ve heard of ridiculous prices on items like this purchased by UK residents, but I wonder if it’s more reasonable for a US resident to help out. Its doubtful mate, its the tax as much as anything else, will look in to it. I'm reviving this thread because NAMM is rapidly approaching and I'l love for this to finally be the year this happens. If it doesn't, I'd probably have to pull the trigger on the @gosnote setup, but the size of that puck is holding me back. BM3 as a live fingerdrumming setup is the goal. 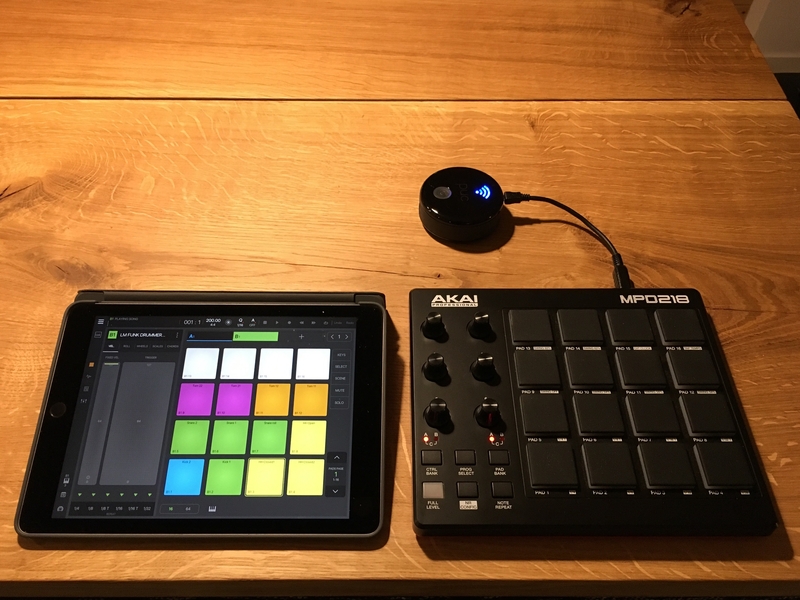 It would be nice to have the 4x4 next to the ipad where you could play the BT controller for finger drumming and then do the 4x4 or 8x8 on the screen to trigger samples or maybe scene's with @blueveek 's new midi app's triggering clip's? You could probably setup a launchpad as well, but trying to keep the setup small. BUT, one advantage playing the pads on the screen is the best part of BM3, imo...the giant velocity pad in the 4x4 view! I'm going to try setting up some vocal chops across different velocity zones so that when you are playing live, you can tap on different sections and trigger different samples. Does this sound like something that's doable? This way you can play samples by tapping the range. 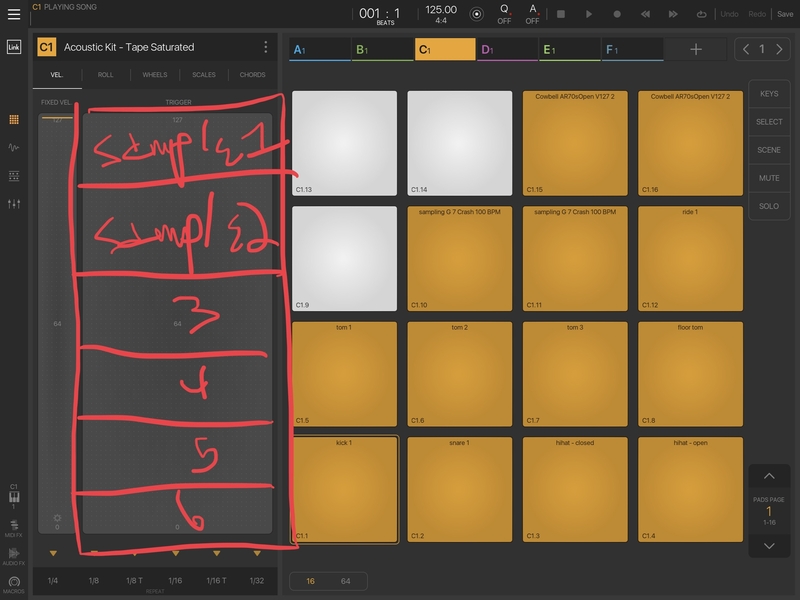 Its like increasing the number of pads exponentially on the screen without losing the 4x4 layout. I know that it will change each time you tap a pad because its always locked onto the last pad you've played. That's ok, you just have to keep track of which one you hit last. I do it now to play ghost notes on snares by hitting the snare on the 4x4 pad and then quickly tapping the velocity trigger area at the bottom, for example, to create the ghost note. It works amazingly well. Anyway would be a fun experiment at least. That’s awesome!!! Exactly what I was looking for. Thank you for throwing that together and showing me the process. I’m going to experiment! Crap, I'm jonesing for the Sensel again now lol. 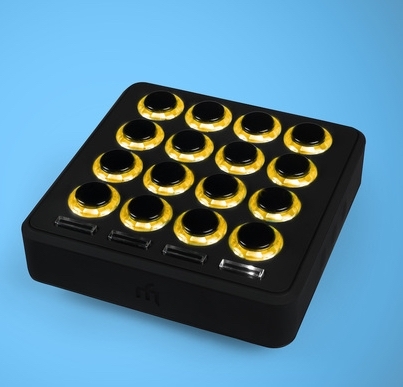 what about the midi fighter? Need velocity sensitivity. Otherwise I’d stick to the iPad screen. And those midi fighters are LOUD. Clacky McClackerson. Touch sensitivity on instrument modules is awful so it is a great companion to less dynamic instruments. 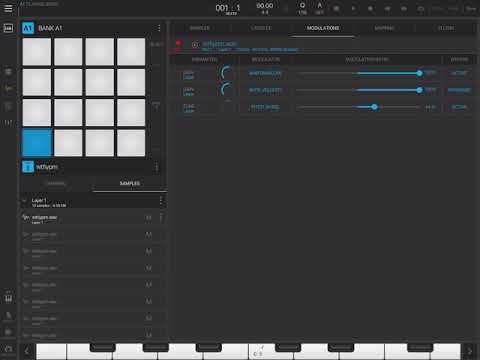 The midi cc modules are great except from it doesn’t have an iOS editor so if you’re trying to configure the x/y pad it would be difficult if not almost impossible. I was one of the early people on the Kickstarter page to adopt it and it is a mostly a disappointment. Lack of updates, lack of customer support and not having an iOS editor while it was advertised as a mobile device with iOS in mind is a bummer. Internal built-in latency is 8ms. In that case, I truly envy them. But then again, I’ll have to try it by myself after the joue experience. But if it does work well (and I just found out it has Bluetooth connectivity as well, very cool) I’ll sell the joue for it. Which 1 might that be?